Are old school pros like Forrest, Johnny Chan and Huck Seed the face of the Bitcoin poker revolution? Find out in this edition of the Weekly Flop. By now, most of the poker community has completely forgotten about the Durrrr Challenge between Dan ‘jungleman12’ Cates and Tom Dwan. Originally set to last for 50,000 hands, Dwan boasted that he’d pay $1.5 million to anybody who could beat him, while ‘Durrrr’ would earn $500,000 if he won. Cates was up $1.25 million before activity in their challenge stopped roughly 20,000 hands into the match. We can only speculate on what personal details Jungleman knows about Dwan. But he’s probably getting closer and closer to revealing them because Dwan no longer responds to his calls or texts. That said, it seems unlikely that Cates will ever earn the $1.5 million bonus for winning this challenge because it isn’t even halfway finished. Furthermore, he hasn’t received any of the $400,000 in agreed-upon penalties that Dwan racked up for inactivity in the challenge. Lol I love it! That’s the best tweet I’ve seen all day…although I’m pretty sure we are in different weight classes. @4viffer I would like to fight at 175 but for the mouth I could get talked into fighting at heavyweight! Fighting matches between poker pros isn’t anything new since Gus Hansen and Theo Jorgensen had a boxing match, and Bertrand Grospellier and Lex Velhuis had a kickboxing bout. But never has one been for what essentially amounts to a $1.8 million freeroll. If Matusow wins, he’s not only relieved of the $1.7m debt, but would also get back the $70.5k that he’s paid. In Forrest’s eyes, he probably doesn’t see ‘The Mouth’ paying him much anyways, so he might as well have fun with this. It’s been a while since a bunch of big-name players got together and ran/represented a poker site. And after the way that the old Full Tilt Poker turned out, we didn’t think it’d happen again. Nevertheless, a group of well-known grinders that includes Johnny Chan, Layne Flack, Ted Forrest, Jeff Lisandro, Huck Seed and Jennifer Harman are now representing a venture called Breakout Gaming. It’s unclear who all owns a stake in the site, although both Chan and Forrest have been called partners for sure. 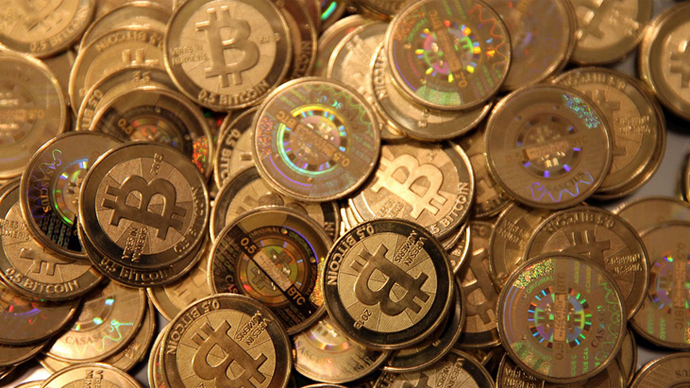 Scheduled to launch in mid-October, Breakout Gaming will accept Bitcoin deposits from players. Bitcoin will then be converted to Breakout Coin (BRO), which can be used to play online poker and casino games. As of now, it’s been confirmed that both No-Limit Hold’em, blackjack, fantasy sports and Open Face Chinese poker will be among the offerings. It’s definitely interesting to see a number of poker legends getting together and backing this site. Of course, many players will understandably be skeptical of Breakout Gaming, given the murky BRO cryptocurrency, poker pros running it and unfavorable (possibly unfair) comparisons to pre-Black Friday Full Tilt. But who knows…maybe this could be the site that truly launches a Bitcoin revolution in online poker.